If you’re a marketer or business owner, you’ve likely been told that you should be using SEO (Search Engine Optimization) more than once or twice. That’s because today, it’s an essential part of any successful marketing strategy. But if you’re not familiar with this tactic, you might not be convinced that it’s worth your time or money. And that’s why on this page, we’ll go over what is SEO in Marketing, the role it plays in marketing, and five key benefits it offers your business. Do You Know Exactly What SEO is in Marketing? For starters, SEO stands for search engine optimization, and it’s the process of improving a website in ways that help it rank in search results when users search for specific words and phrases. If you’re not sure why this matters, just think about how you normally find the information you need during your everyday life. What would you do if you needed to replace your TV and weren’t sure which model to buy? Where would you look if you were on vacation and needed to find a restaurant for dinner? How would you go about researching your options for learning a new language? If you’re like most people, you’d reach for your smartphone or sit down at your computer and type a simple phrase into Google. 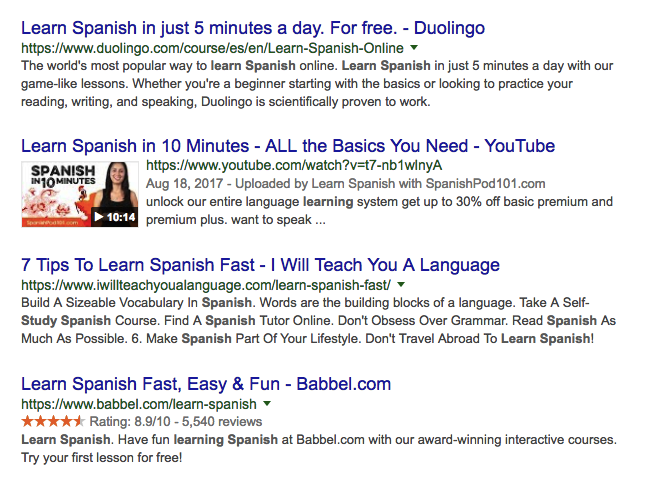 You’d search “best 55 inch tv,” “restaurants near me,” or “how to learn Spanish.” Then, you’d scroll through the results and click the one that seemed best suited to your needs. These results are based on what Google thinks will be the most helpful information to you, based on the keywords you entered. But in many cases, the sites you see ranking on the first page didn’t get there by accident. They used SEO to help Google understand what their content is about. They also likely did extensive research to determine how users like you phrase your searches for specific topics so that they could optimize their page accordingly. And if you want your target audience to find your site, you need to do the same. So — SEO can help you improve your rankings in search engine results. This has the potential to make a huge impact on your company’s most important goals, like increasing your leads and sales. But if you’re not convinced, keep reading to learn five of the biggest benefits of optimizing your site for search. One of the biggest advantages of SEO is that it’s an inbound marketing strategy. Unlike traditional “outbound” advertising channels, which involve reaching out to consumers whether they want to hear from you or not, inbound methods center on making it easy for your audience to find you when they want information. These traditional methods, like cold calling, spam emails, and interruptive ads, are done solely with the advertiser’s goals in mind. And many consumers find them downright annoying. 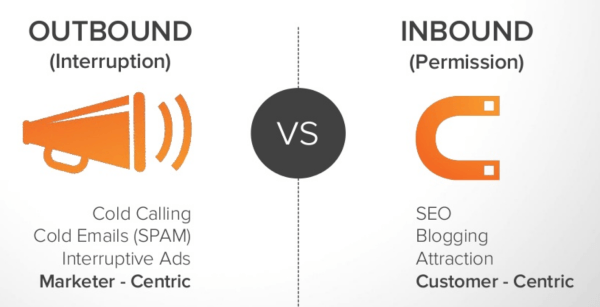 Inbound marketing, on the other hand, is much more customer-centric. Instead of interrupting consumers as they’re watching TV or listening to the radio, it involves creating helpful resources and making helpful information more easily accessible. Then, when users are ready to spend some time researching your industry or learning more about their options for a specific type of product, they can find you on their own. This is not only much more convenient for consumers but also results in more qualified leads for your business. In fact, in HubSpot’s most recent State of Inbound report, 59% of marketers said that inbound practices provided the highest quality leads for their sales teams. After all, who do you think is going to be more receptive to your marketing efforts: Someone who sees your ad on a billboard during their commute, or someone who comes across a list of tips you published while searching for help online? When you focus on attracting users who are actively looking for information related to your industry, products, and services, you’ll be much more effective in reaching your target audience. Plus, this gives you the opportunity to reach your audience while they’re already considering making a purchase or contracting a service — increasing the chances that your marketing messages will translate into sales and leads. Google’s organic rankings are based entirely on what its algorithm determines to be the best results for any given query. This means that once you’ve created a page that the search engine deems worthy of directing their users to, it can continue to attract traffic to your site for months (or even years) after you publish it. Of course, researching and writing high-quality content requires an investment. That investment will either be in the form of time, if you choose to create it yourself, or money, if you choose to hire a digital marketing agency to create it for you. But once you’ve made that initial investment, there’s no ongoing cost to keep attracting traffic to your content. You might need to update the page every few months, depending on the nature of the topic. You also might need to add to and improve it if your competitors decide to target the same keyword. But when it comes down to it, your valuable spot in search results is free of charge. This is a major difference from PPC ads, which involve a cost every time a user clicks and visits a page. 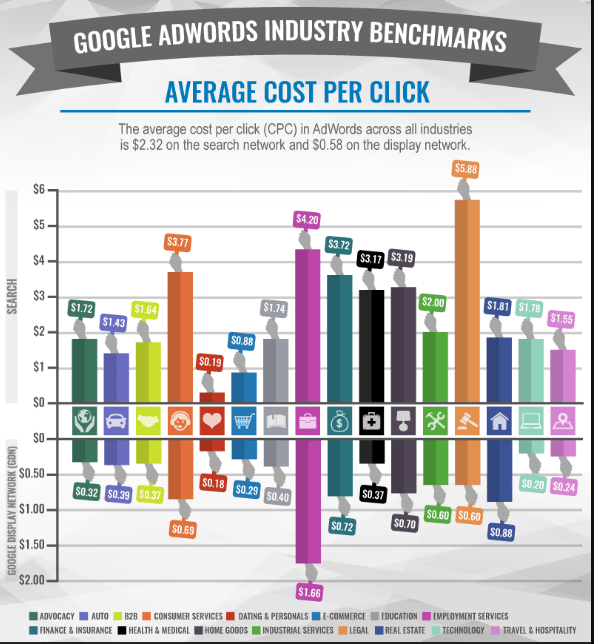 To give you an idea of what just how big of an advantage this is, just consider that the average cost per click (CPC) across all industries is $2.32. With SEO, you have the potential to avoid paying this amount and earn traffic to your site with no ongoing costs at all. Although PPC ads appear above organic rankings, 71.33% of searches result in a click on an organic result on the first page. It’s difficult to say why this is, though the most logical conclusion is that users trust Google’s algorithm. They know which spots advertisers are paying for, and they choose to instead visit the pages the search engine has determined to be the best. But regardless of the reasoning behind it, the fact is that the majority of the clicks for any given search go to an organic result. 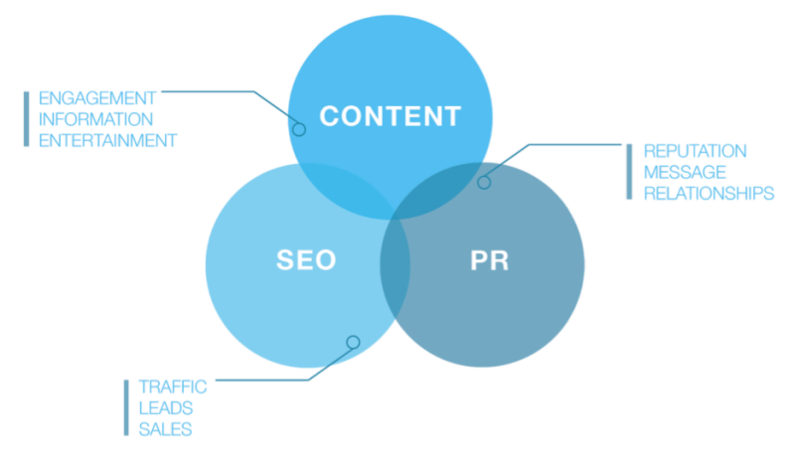 Although SEO and PR may seem like entirely separate marketing strategies, you can use them together to maximize the results you see from each. The biggest connection between the two lies in link building. Earning links from reputable websites is a main component of any SEO strategy. This means that one of the biggest parts of an SEO professional’s job is to identify opportunities for placement or coverage on industry blogs, news publications, and other relevant sites. And considering that a PR strategy revolves around getting prominent publications and influencers to talk about your company, this presents a huge opportunity. When you use link building research to find new ways to get your brand in front of consumers, you’ll be much more effective in distributing content to potential customers and clients. Today, SEO is widely considered a staple of any marketing strategy. In fact, 61% of marketers say that improving their SEO and improving their online presence is a top priority. This means that your competitors are likely already taking steps to establish high rankings in search results. And with an SEO strategy of your own, you can keep up with — and ideally, move ahead of — them to stay competitive within your industry. As you learn more about increasing your company’s visibility in search, you may come across another term for the process: SEM. And while some marketers use this interchangeably with SEO, it’s important to understand the distinction between the two. SEM stands for “search engine marketing,” and it refers to anything you do to earn placement in search engine results pages. This means that it’s an umbrella term that includes both SEO and PPC. So although SEO is a form of SEM, it’s not the only tactic involved in SEM. Keeping this difference in mind while you learn more about search visibility will make it much easier to spot resources that focus on paid tactics — and determine whether those are resources that you want to spend your time reading. What Is the Job of an SEO Specialist? While some basic SEO tasks can be undertaken in-house with the help of some online resources, the best way to maximize your results is to hire an SEO specialist. But what do these professionals offer that you can’t do yourself? And what do they actually do that makes hiring them a worthwhile investment? Their primary goal is, of course, to increase their clients’ visibility in search results for queries related to their industry, products, and services. But to accomplish this goal, there are a few key steps an SEO specialist will take. The first step in the SEO process is a complete assessment. Whether a site has ever been optimized before or not, they’ll evaluate all of the factors impacting its rankings, as well as where it stands in the results pages for the company’s most important target keywords. They’ll also look for any major issues impacting user experience, like page load times, navigation setup, and site structure. Finally, most SEO professionals will also take a client’s competitors into consideration during their site assessment. They’ll identify other sites targeting similar keywords and the same audience, then evaluate what they’re doing well. All of this information will help them determine what changes need to be made. Then, they can prioritize these changes based on which will have the biggest impact. After their assessment, an SEO will get to work on the priorities they’ve identified. They’ll do keyword research, optimize pages for the keywords they select, and fix any usability issues. This initial optimization process alone often takes a few months — but it’s important to recognize that it doesn’t stop there. That’s because SEO is a long-term strategy. For example, just take a look at the following graph of Kinsta’s year-over-year traffic. While they saw some marginal gains in 2015 and 2016, their traffic started to really take off in 2017. And those results were entirely due to their ongoing SEO strategy. That’s why when you hire an SEO specialist, they’ll identify new opportunities to improve your site on a regular basis. They’ll optimize your on-page factors, look for ways to earn new links for your site, and continuously test the changes they’re making. An experienced SEO professional will also make it a priority to keep up with industry changes so that they can make sure your site stays ahead of algorithm updates and up-to-date with the tactics other marketers are finding effective. Finally, an SEO specialist will regularly monitor and analyze their results. From a client standpoint, this helps you make sure that you know exactly what kinds of results you’re getting for your investment. But beyond that, regularly checking in on key metrics like traffic and conversions helps them get a clearer understanding of what’s working — and what isn’t — so that they can continuously improve their strategy. There’s a wealth of information available online about SEO. Unfortunately, not all of that information is entirely accurate. So as you learn more about this important marketing tactic, there are a few common myths you should be aware of — so that you can stay away from any SEO “professionals” perpetuating them. The idea that keywords are the most important part of SEO isn’t an outright lie — but it’s certainly outdated. Ever since the rollout of Hummingbird in 2013, Google has increasingly prioritized user intent over the exact keywords they use. That means that today, you don’t need to focus as much on specific words and phrases. To be clear, keywords are still an important part of SEO, and keyword research can help guide your strategy. But as you incorporate them, make sure to do so naturally, and write your content in a way that prioritizes addressing the intent behind them over using the same exact phrase repeatedly on your page. If you come across anyone promising SEO results within a matter of weeks, run. Many of us might wish that this were possible, but that’s simply not the case. In fact, it generally takes four to six months for an SEO strategy to start showing results. So while the idea of fast and easy results might be tempting, don’t fall for it. Find an SEO professional that offers a clear outline of their strategy and a realistic timeline for results, and you’ll be more satisfied with the outcome. Many site owners new to SEO make the mistake of focusing their efforts on keywords with extremely high search volume. After all, wouldn’t it be awesome to rank on the first page for a keyword that gets searched tens of thousands of times per month? But for most sites, that’s simply not a realistic goal. Considering how difficult it is to rank for these keywords, focusing a strategy on them is unlikely to produce any significant rankings — or traffic — at all. Instead, it’s much more effective to focus on longer, less competitive keywords. 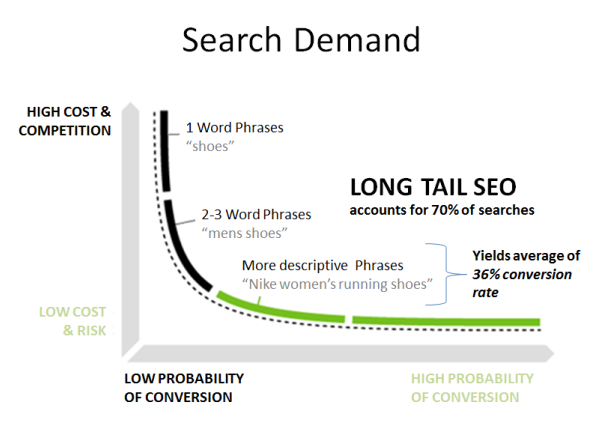 And in case you think that these keywords aren’t worth your time, just consider that long-tail keywords account for 70% of searches. So while each one might not have the potential to bring in thousands of visitors every month, a strategy built on several long-tail keywords certainly does. And since it’s easier to rank for these keywords, the chances of seeing positive results within a reasonable timeframe are much higher — making them a much better investment of your time and budget. Today, Google’s algorithm takes hundreds of factors into consideration when ranking results for any given query. 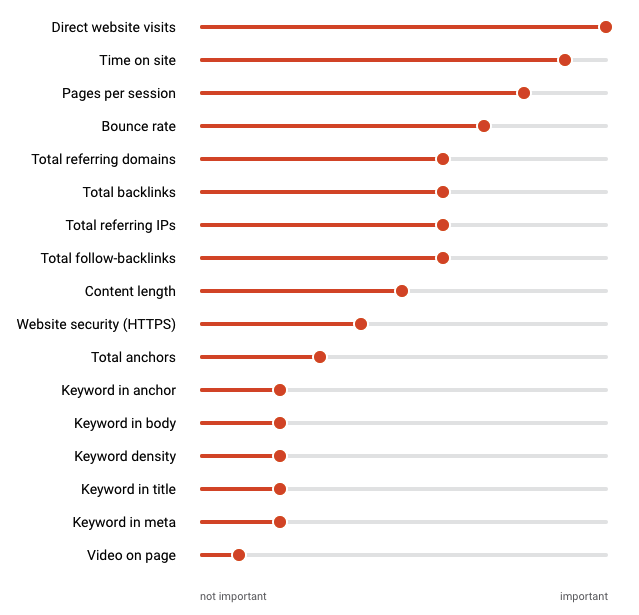 SEMrush’s Ranking Factors research reveals a few of the most important of these factors. Of course, this is only a general overview of the factors you’ll want to consider when optimizing your site. For more information, check out our in-depth explanation of on-page and off-page ranking factors. The meaning of this term is fairly straightforward, but its importance really can’t be overstated. As Google focuses on providing its users with the best possible results, great content has become increasingly important. While keywords still play a role in SEO, Google is less concerned with the particular keywords on a page than the quality of the content it provides — and that means that you should be concerned with content quality, too. Achieving high rankings is no longer as simple as writing keyword-optimized page titles and headings. 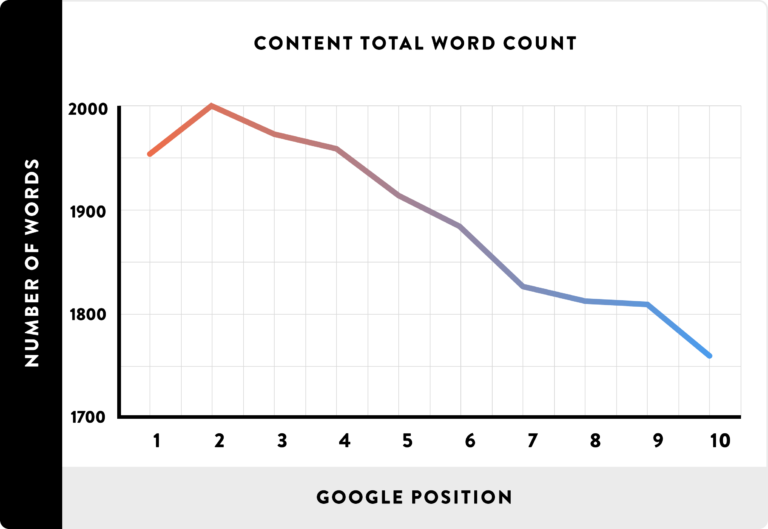 In fact, the average length of a first page Google result is now 1,890 words. So as you look for ways to improve your site, take a hard look at the content on your site. Is it providing real value to your target audience? And is it providing more value than the pages you’re competing with? If not, even the best keyword optimization won’t help you. Instead, it’s time to focus your efforts on improving your content in ways that will help your audience find the information they want. When it comes to increasing organic traffic, rankings aren’t the only thing to consider. Here are two tips you can use to increase your traffic levels — without necessarily changing your rankings. Generally speaking, the first few results on a page will earn the majority of the clicks. But that’s not always the case. And if you can find ways to attract more clicks even when your pages rank lower than you’d like in search results, you can increase your traffic without outranking your competitors. 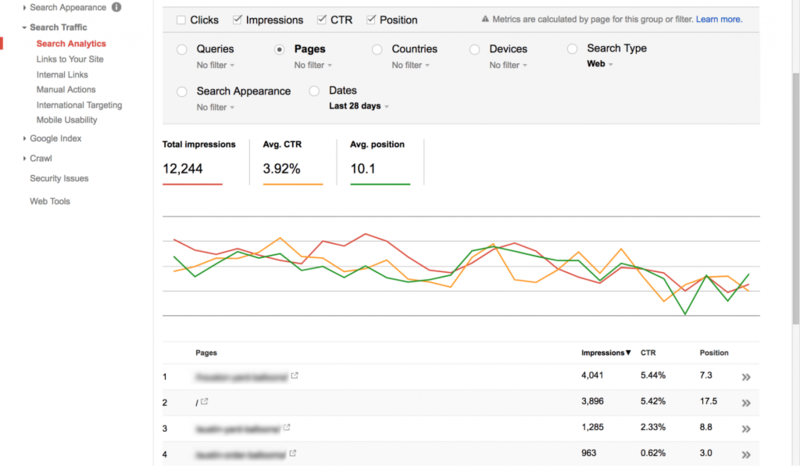 First, use Google Search Console to identify pages with particularly high CTRs. Then, determine what you’re doing well with the title tags and meta descriptions for those pages — and adjust the rest of your pages accordingly. 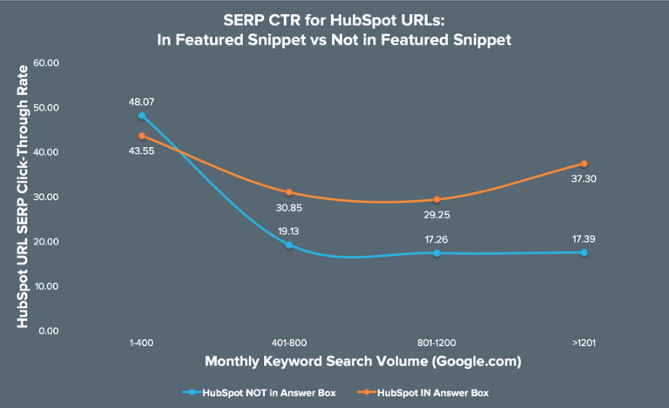 In one Hubspot study, pages appearing in Featured Snippets saw double the CTR as pages appearing as regular results. So if you’re able to earn a spot in Featured Snippets, you can increase your CTRs without necessarily climbing in the regular organic rankings. And considering that 70% of snippets come from results that aren’t ranking in position one, this is a great way to get a boost in clicks — and potentially even more clicks than the top result. Today, SEO is an essential part of any marketing strategy. So, to answer the question of, “what is SEO in marketing?,” the simplest explanation is that it’s the best way to improve your online visibility and reach consumers as they’re actively searching for information. It also presents a wealth of benefits that no other digital marketing tactic can offer. For many marketers, the biggest draw is that it enables them to earn new customers without paying for ad space. For others, it’s that organic results earn even more clicks and attention than ads. Beyond that, the right strategy can also help you improve your brand’s PR and move ahead of your competitors. And considering all of these clear advantages, there’s no reason not to optimize your site. If you’re ready to jump straight to the technical explanation, you can check out our resource on how to do SEO to rank and convert better. But we recommend having a solid understanding of how search engines work before you make any changes. So if you want to start from the beginning, you can find all of the information you need to establish a strong base in our resource on how Google search works in 2018. What has been the biggest advantage of using SEO for your company?